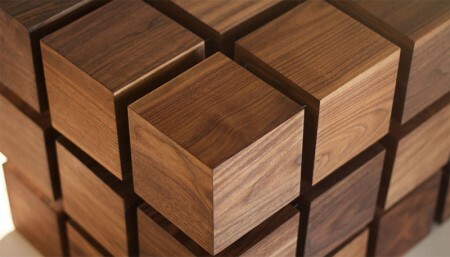 A wooden Rubik’s Cube-like coffee table named the Float Table by RPR. 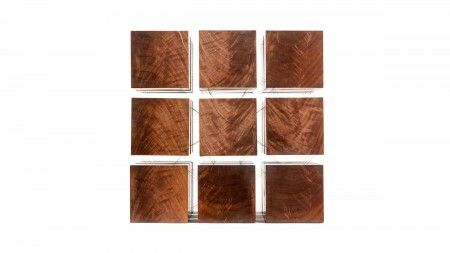 Composed of wooden blocks that are held in equilibrium by a system of tensile steel cables, at a glance, the cubes seem to simply float. 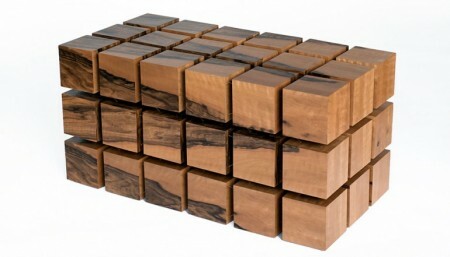 Asked about their work, RPR explained: “The Float Table is a matrix of magnetized wooden cubes that levitate with respect to one another. 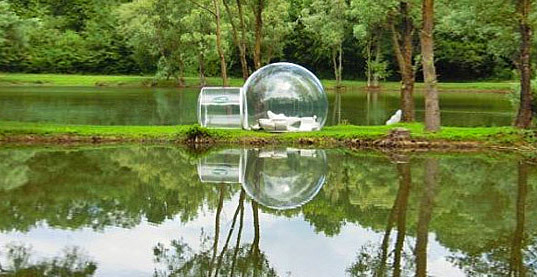 The secret of the “floating cubes” consists in the subtle steel cables that keep each piece close. 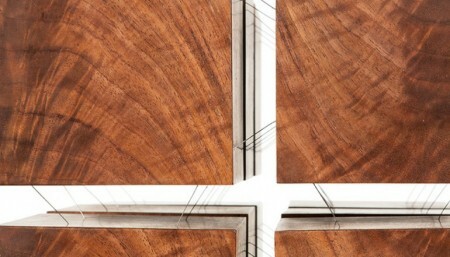 Each handcrafted table is precisely tuned to seem rigid and stable, yet a touch reveals the secret to Float’s dynamic character. 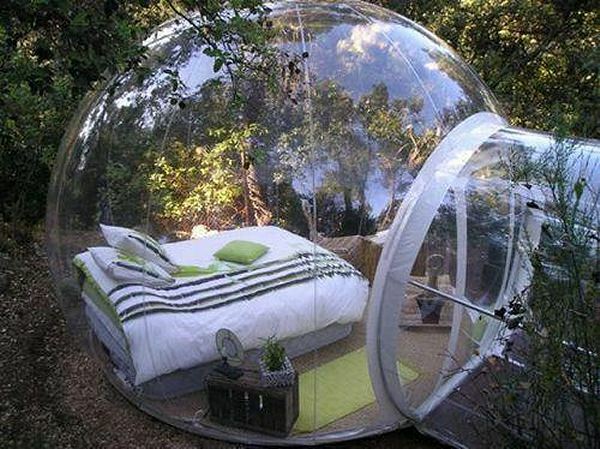 Price for such an item? 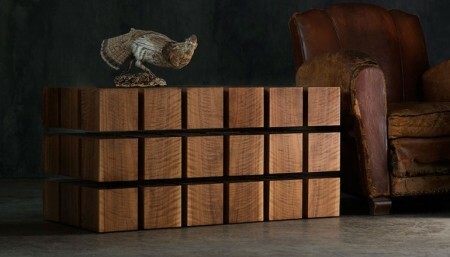 A table made of 27 cubes costs $10,000 and the one composed of 54 cubes has a double price. 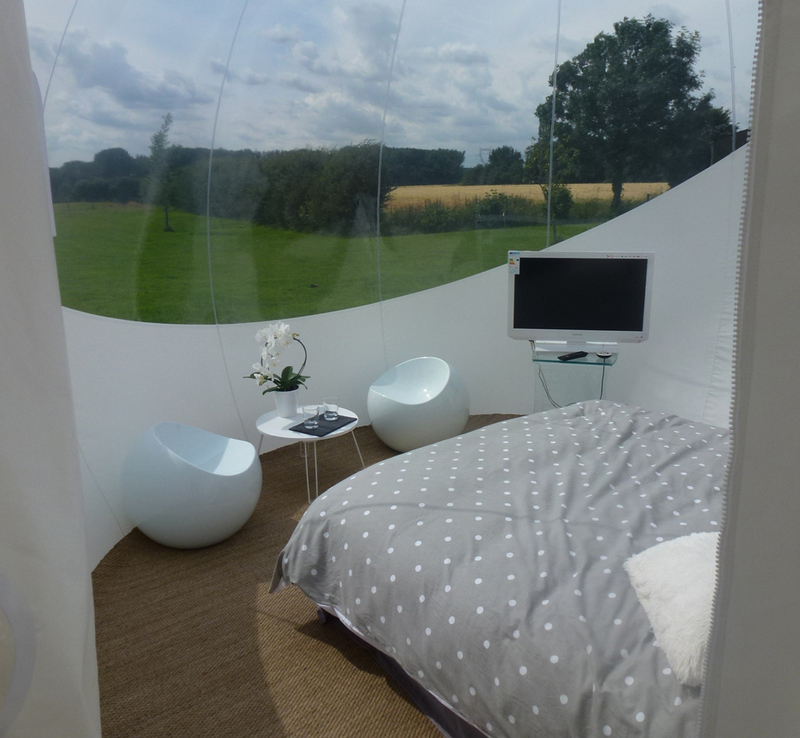 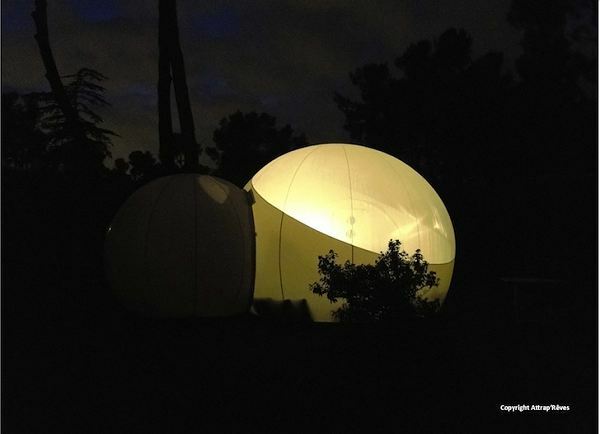 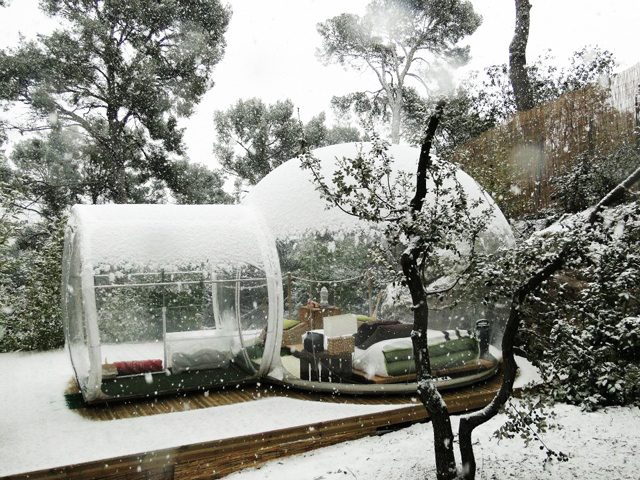 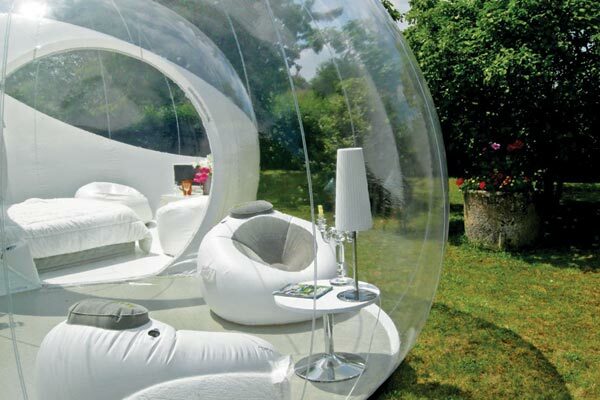 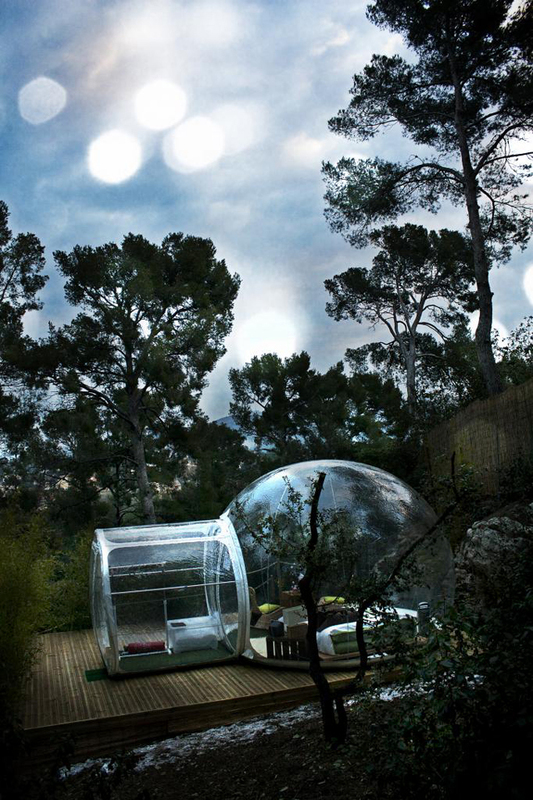 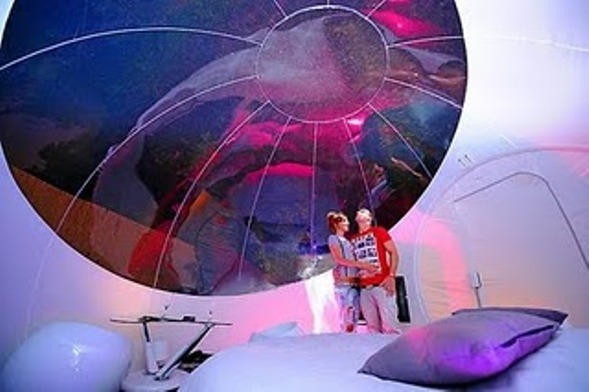 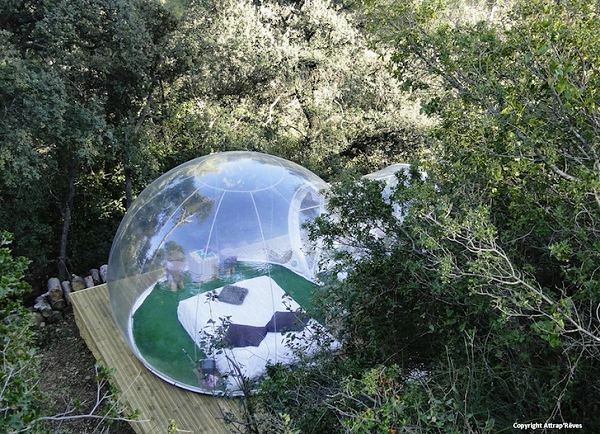 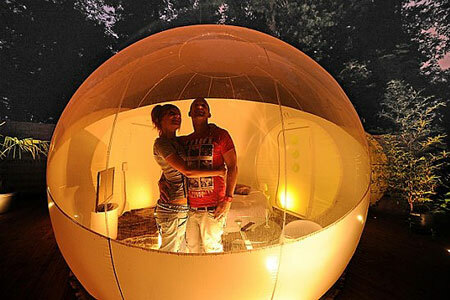 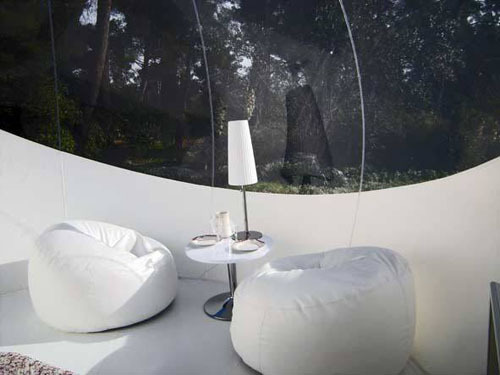 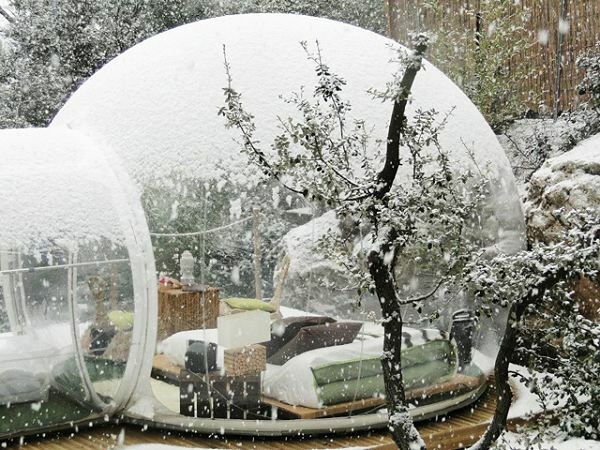 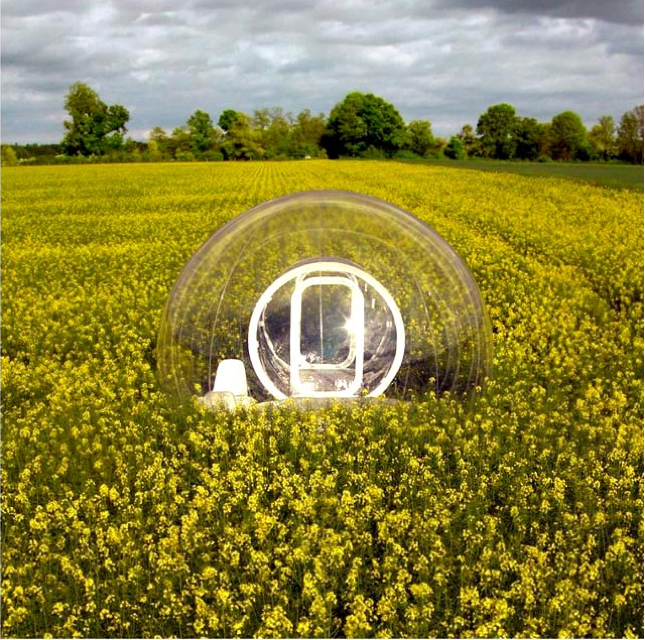 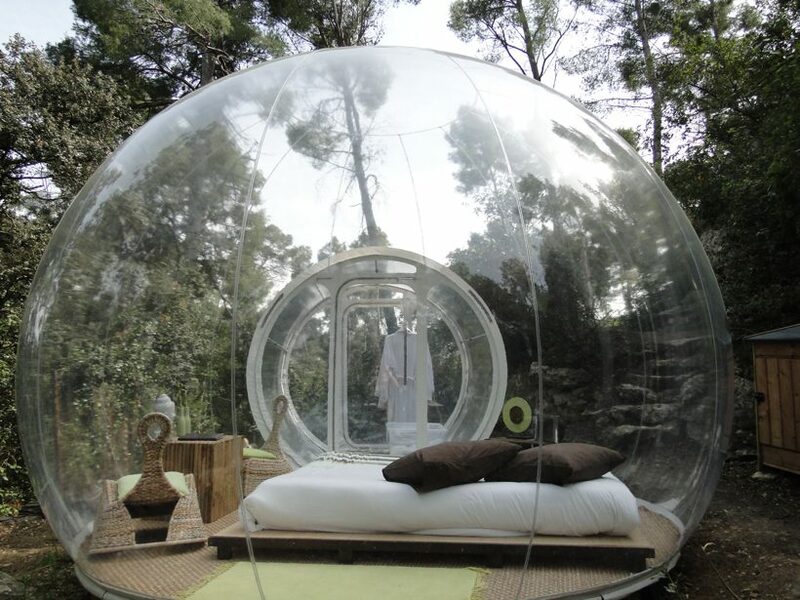 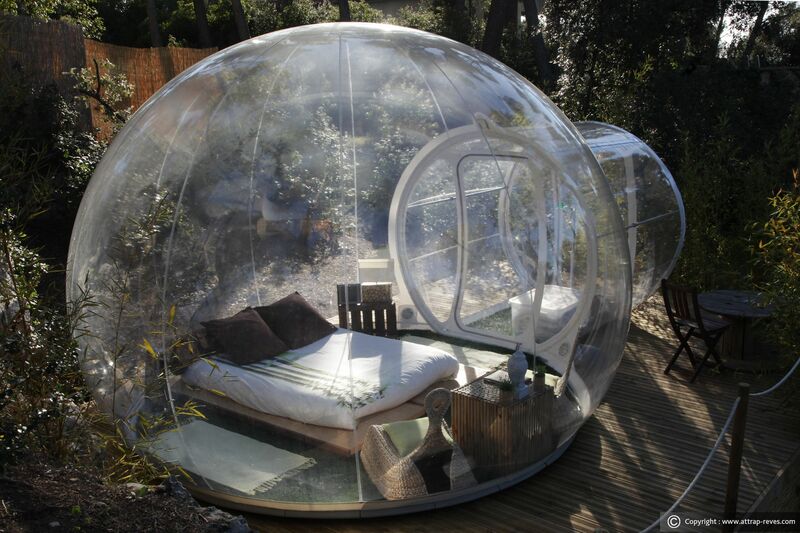 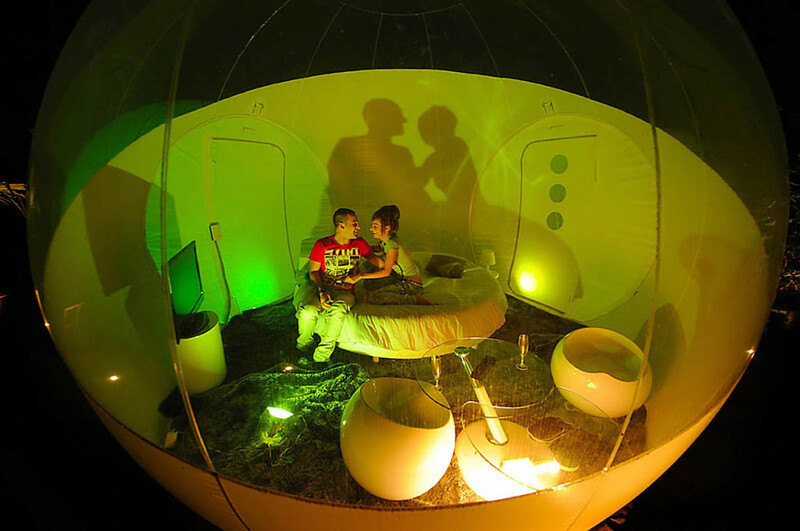 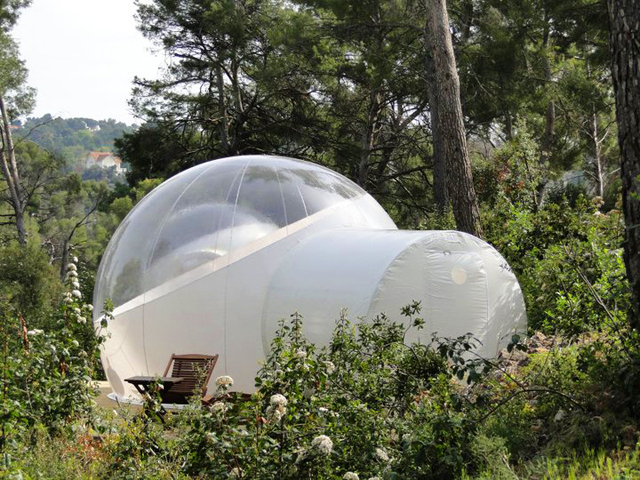 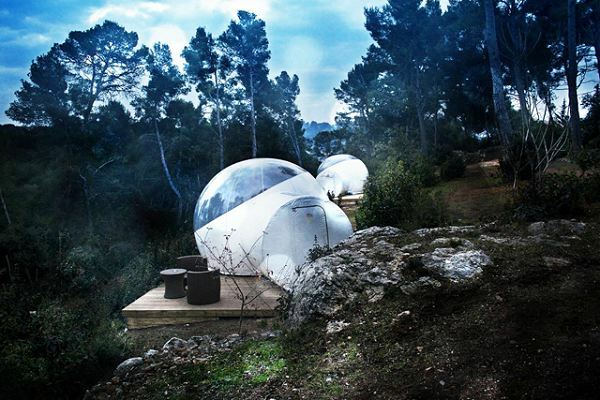 Rented out in France at attrap-reves hotel and skyriverone hotel for around € 100 a night, the Bubble Tent is basically a transparent apartment that you could set up pretty much anywhere you desire (at only about 13 feet in diameter they’re relatively easy to pack up). 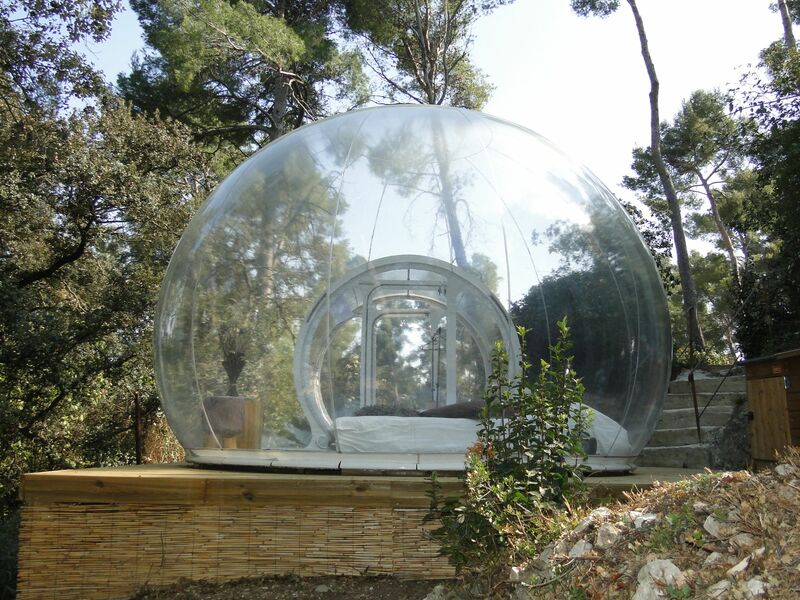 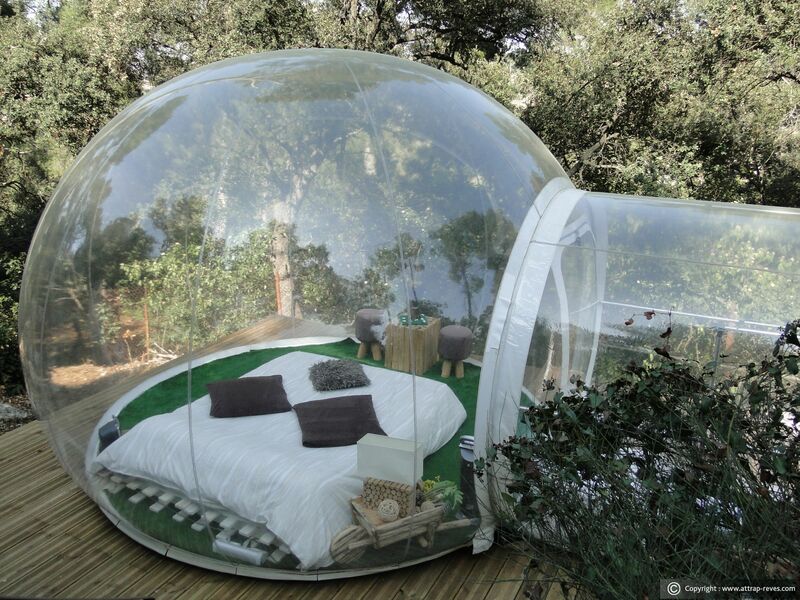 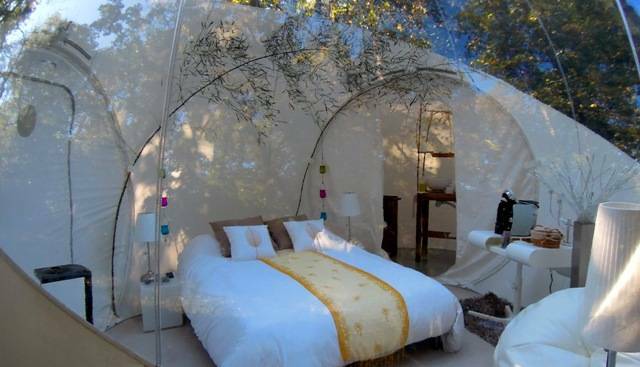 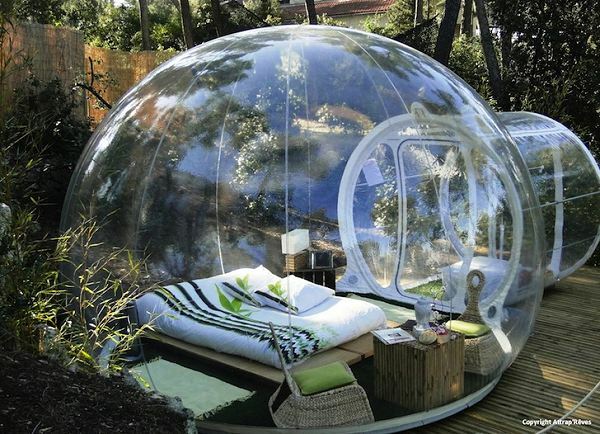 With the Bubble Tent you can literally view the stars while you slumber, and sleep closer to nature than you have ever been before.